At "As Records Go Digital, Cultures Clash, Bringing to Life Secrets the Health IT Companies Don't Want You to Know" I wrote of the used-car nature of the healthcare IT market, where lemon laws do not seem to exist and "physician buyer beware" seems a defining characteristic. Computerizing American medical records within five years is a key goal of federal health policymakers, but disputes between some doctors and their technology vendors highlight the many challenges for individual medical practices making the conversion. Bankrupt vendors leaving orphan software and inaccessible data, vendors misappropriating others' software for their own products, fights over source code, and "doctors left holding the bag" are just a few of the factors that clinicians have to face. Robert Cameron wasn’t much of a technology buff, but the orthopedic surgeon knew he wanted to get rid of all the paper in his nine-physician practice in Pensacola, Fla. So he bought an electronic medical records system from a California-based company called Acermed. Cameron’s group spent more than $400,000 on the software, but the system still never fully worked and even confused patients’ scheduled visits, according to a lawsuit the doctors filed against the technology company in 2006. Acermed filed for bankruptcy in September 2007, complicating the doctors’ attempts to recover their expenses. The effort to go digital “was a disaster,” Cameron says now. ... Cameron’s Florida doctors group, Gulf Coast Orthopaedic Specialists, looked at half a dozen companies before signing with Acermed in April 2005. After installing the first part of the system, they alleged in their lawsuit, the scheduling software “malfunctioned causing patient appointment[s] to disappear.” Also, the billing system was not feeding claims back to insurers, which over the next six months nearly ran the practice into bankruptcy itself, the complaint alleged. Gulf Coast doctors continued to alert Acermed to the problems, but the company was unable to fix them, the lawsuit stated. They weren’t the only ones having trouble. Two other doctor groups—one in Florida, another in Tennessee—had also filed suit against Acermed, alleging similar problems. Gulf Coast filed its suit in October 2006. Acermed stated in court documents that the doctors had no basis for their claim. As it turned out, Acermed had been dealing with problems of its own. In July 2006, a federal judge ordered Acermed to pay more than $750,000 for using some of the source code from another vendor it had once worked with to develop its own electronic medical record software in 2004. Gulf Coast’s lawsuit was still pending when, in September 2007, Acermed filed for bankruptcy. Company officials at the time said that the reason for their bankruptcy was the financial impact of legal bills, not problems with their software. In January 2008, Ophthalmic Imaging Systems of Sacramento, Calif., bought Acermed and renamed it Abraxas Medical Solutions with Acermed’s former chief executive Michael Bina as president. In an email, Bina said he does not “represent AcerMed any more and would not like to comment on its behalf.” He said that one of his conditions for joining Abraxas had been that it continued to service Acermed customers, and that “many clients” of AcerMed have stayed with the new company. Several other doctors said they were left with loan payments for a system they never received. And today, the Gulf Coast group still hasn’t entirely gotten rid of paper. In December 2008, the doctors settled their lawsuit with Acermed for an undisclosed amount. They invested in a different electronic system, but the doctors aren’t entirely happy with the new one either, said Alan Trest, the group’s technology manager. With the current system, doctors have to type rather than dictate notes. Some aren’t willing to make that transition because they say it takes them more time. So the group still pays for transcriptions. “They haven’t really completely bought into the idea,” Trest said. I note that "revolutionizing medicine" via IT still seems somewhat unlikely when the IT industry conducts itself more poorly than the used car industry. What Happens When "We'll Manage it the Way We Damn Well Want"
Back in the early days of Health Care Renewal (2005, to be exact), we first wrote about some very strange actions by the management of Phoebe Putney Health System. At first, we noted that the Phoebe Putney responded to a reporter's inquiry about lavish travel expenses pertaining to the system's Cayman Islands health insurance subsidiary by saying, "We own it. We'll manage it the way we damn well want." Then the story got far more convoluted. In 2006, we wrote about the over the top response to anonymous faxes challenged hospital management's commitment to the institution's mission. The system CEO compared the fax senders to "terrorists." After the local district attorney handed over his investigative records to hospital system private investigators, the investigators allegedly threatened a local accountant whom they accused of sending the faxes. Allegations that the district attorney received campaign funding from and may have had other financial ties to the hospital system surfaced. The district attorney indicted the accountant and a physician colleague on charges of burglary and assault in the absence of any police report of such crimes. We commented that regardless of the outcomes of the legal case, the hospital system's management's actions seemed at variance with its stated mission. provided the information gathered through the subpoenas to Phoebe Putney, which the hospital system used to file a civil suit against Rehberg and Bagnato -- a suit that was ultimately dropped. Rehberg then countersued Phoebe Putney, and that case was settled out of court for an undisclosed sum. Hodges' decision to run for attorney general elevated the case from a localized matter to one of statewide import. While still a prosecutor in Albany, Hodges received political contributions from Phoebe Putney executives and individuals connected to the hospital system, and his wife was hired as public affairs manager at Phoebe Putney's hospital in Albany. Since leaving the prosecutor's office in Dougherty County, Hodges has gone to work for the Baudino Law Group, which represents Phoebe Putney. According to records Phoebe Putney must file with the Internal Revenue Service, the hospital system paid Baudino more than $8 million for the fiscal year ending July 31, 2008, the most recent data available. Now, it is Rehberg who is suing Hodges, for abuse of power. "Charles Rehberg's suuit essentially accuses him and another prosecutor of filing criminal chargest that they knew to be based on fabricated information." A preliminary hearing took place yesterday. So, in summary, two individuals sent anonymous faxes that charged that the Phoebe Putney system failed "to fulfill its charitable obligations as tax-exempt entity." Hospital system executives accused them of terrorism, and hospital system investigators allegedly threatened them. However, a criminal investigation by a district attorney with alleged financial ties to the hospital system ended without any convictions. A lawsuit by the system against the individuals was dropped. A suit by the indviduals against the hospital system was settled by the system. A suit by the individuals charging that the then district attorney abused his power by basing criminal charges on false information is pending. * PEOPLE come first, are treated with dignity and respect, and diversity of culture and thought is respected. * RELATIONSHIPS are built on honesty and integrity. * REPUTATION is built on trust and pride. In fact, the Phoebe Putney management's pursuit of Mr Rehberg and Dr Bagnato seems diametrically opposed to these values, intended to crush all criticism of management by any means. Once again, we see leaders of once-respected not-for-profit health care institutions whose main goal seems to be consolidating their power and thwarting criticism. I say again, to truly reform health care, our health care organizations must be lead by those who put the institutions' missions ahead of their self-interest, who manage according to the mission rather than "the way we damn well want." The announcement of the Apple iPad has been accompanied by the usual irrationally exuberant, buzzword-laden statements and bellicose grandiosity from the IT punditry about how it will "revolutionize" or "transform" medicine. However, this will not occur anytime soon, for in medicine, the device may help solve a portability and visibility problem (compared to PDA's), but it will not solve this problem: the mission hostile user experience. The solution to that problem will require significant human magic. More California Medical Centers Plagued by Quality Problems While Their Executives Get Bonuses for "Improved Patient Care"
Earlier this week, we noted that while executives at one University of California medical center were getting large bonuses supposedly for "improved patient health," the hospital was being cited for serious health care quality deficiencies. Now, more stories have appeared that raise questions about the rationale for the generous bonuses handed out to multiple top hospital executives at University of California hospitals. UCSD Medical Center in San Diego was fined $50,000.... The state said the hospital staff failed to follow its surgical policies and procedures, which resulted in a patient having to have a second surgery to remove a foreign object — a guide wire that was left in the patient when a central venous catheter was inserted into the patient’s right femoral vein in the groin area in January 2009. The wire migrated into a chamber of the patient’s heart. The procedure was done by a first-year intern and supervised by a third-year resident. This marks the third time the state has penalized UCSD, with the first penalty issued in May 2008 and the second in May 2009. Despite criticism from union leaders and rank-and-file employees, University of California regents yesterday overwhelmingly approved $3.1 million in incentive payouts to 38 medical center executives. The payouts mean, for instance, that former UC San Diego Medical Center CEO Richard Liekweg will receive $136,174 in performance pay for the last fiscal year, added to his base of $660,500. Regents justified the payments by noting that incentive programs are common in the health care industry, and necessary to compete for top talent. 'It’s the way this industry works,' said Regent William De La Pena, an ophthalmologist and medical director of eye clinics throughout Southern California. At UCSD Medical Center, 10 senior managers will receive a combined $754,650 for surpassing goals set in areas ranging from improved patient safety to increased revenue. The bonuses amount to 14 to 23 percent added to executives’ salaries. San Francisco General was fined $25,000 for leaving a piece of surgical gauze in a patient who underwent an eight-hour operation for two types of cancer in September 2008. The foreign object was discovered about three months later and was removed without surgery during an office visit. Medical records for about 4,400 UCSF patients are at risk after thieves stole a laptop from a medical school employee in November, UCSF officials said Wednesday. The laptop, which was stolen on or about Nov. 30 from a plane as the employee was traveling, was found in Southern California on Jan. 8. There is no indication that unauthorized access to the files or the laptop actually took place, UCSF officials said, but patients' names, medical record numbers, ages and clinical information were potentially exposed. The security breach is UCSF's second in recent months. Last month, UCSF officials revealed that a faculty physician responding to an Internet 'phishing' scam potentially exposed the personal information of about 600 patients. University of California regents approved $500,000 in bonuses to six top officials at the UC San Francisco Medical Center, part of a package of $3.1 million in payments to 38 hospital executives across the UC system. In an interview last week with UCSF Chancellor Susan Desmond-Hellman, she said that the executive bonuses were tied to meeting specific performance goals, such as reducing clinical infections and increasing satisfaction ratings by patients. She also pointed out that additional payments of $14.3 million to the UCSF Medical Center’s 6,600-strong workforce were approved earlier. * Sheila Antrum, chief nursing/patient care services officer, $49,280. So, in summary, multiple executives at three major University of California medical centers received generous bonuses. The rationale for these bonuses, given out at a time when the university system was under major financial constraints, was that they were incentives for exemplary performance and patient care. Yet almost simultaneous with announcement of the bonuses were news reports indicating serious patient care problems at the same medical centers. The point I am NOT trying to make is that the care at any of these medical centers is bad. The examples of quality problems were limited. I am sure that many other major medical centers hae had such quality problems as well. However, the cases cited above were sufficient to argue that the care at these medical centers was not outstanding, not exemplary. Yet, the bonuses were awarded not for acceptable performance or average quality. Their rationale was exceptional performance and quality. Thus, the rationale for the performance bonuses seems at best naive, if not foolish. I would suggest, instead, that the sorts of bonuses given out at the University of California are a product of the current management culture that has been infused into nearly every health care organization in the US. That culture holds that managers are different from you and me. They are entitled to a special share of other people's money. Because of their innate and self-evident brilliance, they are entitled to become rich. This entitlement exists even when the economy, or the financial performance of the specific organization prevents other people from making any economic progress. This entitlement exists even if those other poeple actually do the work, and ultimately provide the money that sustains the organization. Although the executives of not-for-profit health care organizations generally make far less than executives of for-profit health care corporations, collectively, hired managers of even not-for-profit health care organizations have become richer and richer at a time when most Americans, including many health professionals, and most primary care physicians, have seen their incomes stagnate or fall. They are less and less restrainted by passive, if not crony boards, and more and more unaccountable. In a kind of multi-centric coup d'etat of the hired managers, they have become our new de facto aristocracy. Here's the latest corporate health care marcher in the legal settlement parade, as reported in the Wall Street Journal. Swiss drug giant Novartis AG said its U.S. subsidiary struck a plea agreement with U.S. investigators to resolve criminal allegations regarding the company's promotion of the epilepsy drug Trileptal, and agreed to pay a $185 million fine. Federal investigators have been carrying out civil and criminal investigations of Novartis' marketing of the drug, including allegations that it promoted the drug for uses for which it is not approved by the Food and Drug Administration, an illegal practice known as 'off-label' marketing, Novartis said in a statement Tuesday as it announced fourth-quarter results. To resolve criminal allegations, Novartis said it agreed to plead guilty to a violation of the U.S. Food, Drug and Cosmetic Act, and to pay a fine of $185 million. It has become a drearily familiar ritual. We have now discussed numerous instances of large health care corporations pleading guilty to criminal charges and/or settling civil allegations of unethical behavior. In the current case, like nearly all the others, the corporation will pay what seems to be a huge fine. However, the amount is a pittance compared to the corporation's revenue, and is likely to be viewed as only a small cost of doing a very lucrative business by corporate executives. In very few cases does any individual suffer any negative consequence for approving, ordering or implementing the unethical behavior. Thus, I would argue that these cases remind us how unethical the health care "business" has become, but the way they have been resolved will fail to deter future bad behavior. A large fine's impact can be spread among share-holders, employees, and clients/ customers/ patients, and hence poses no threat to executives planning the next bit of unethical behavior. In fact, the most notable aspect of the current case is that the corporation involved in not run out of the US, but rather out of Switzerland, showing that this pattern is not exclusively an American one. There is an interesting juxtaposition to this case, however. At the same time this settlement was announced, Novartis disclosed its new CEO. A Wall Street Journal commentary opined, that the " New Novartis Chief Needs Surgery Skills." Ironically, the new CEO is hardly a surgeon. Here is a summary of his background. Mr. Jimenez began his career in the United States at The Clorox Company, and later served as president of two operating divisions at ConAgra. In 1998, he joined the H.J. Heinz Company, and was named President and Chief Executive Officer of the North America business. From 2002 to 2006, he served as President and Chief Executive Officer of Heinz in Europe. Before joining Novartis, he was a NonExecutive Director of Astra-Zeneca plc, United Kingdom, from 2002 to 2007; and was an advisor for the private equity organization Blackstone Group, United States. Mr. Jimenez joined Novartis in April 2007 as Head of the Consumer Health Division and was appointed to his present position in October 2007. Mr. Jimenez graduated with a bachelor’s degree from Stanford University in 1982 and with an M.B.A. from the University of California, Berkeley, in 1984. I would guess that all that expertise marketing ketchup will come in handly preventing the need for more settlements of illegal marketing practices. Seriously, we have discussed the logic and evidence behind the assertion that health care corporations ought to be run by people with relevant experience and values. We wish Mr Jimenez well, but hope that he realizes that if he is to prevent future events that could throw his company into disrepute, he ought to lean heavily on people who understand medicine and biomedical science, and who support physicians' core values. More broadly, I again suggest that real US health care reform would need to deal with both these issues. We need to have rigorous regulation of health care organizations that has the power to deter unethical behavior that may risk patients' health. We need to have leaders of health care organizations who actually understand health care and share its values. Two hat tips to the PharmaGossip blog (here and here). 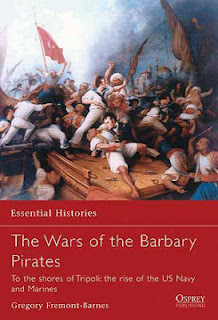 Yes, as records go digital, cultures clash: the culture of medicine, and the culture of the Barbary pirates. A group of Broward County doctors looking to switch to electronic medical records say the result has been a massive headache: surprise charges, inadequate training and even blocked access to patient files. ... Experts say a culture clash between mid-career physicians and tech-savvy software vendors can translate into mismatched expectations. They tell the buyer to beware. And with federal incentives now in play, they say there is bound to be further conflict. “I get upset just talking about it,” said Dr. Arleen Richards, a Plantation physician and one of the doctors who signed a contract with Castranova. [An IT supplier - ed.] "When you look back in retrospect, you’re like, ‘how did this happen?’"
Physicians are too trusting of IT salespeople, that's how. I recommend considering an IT purchase as you would consider purchasing a used car. Richards says Castranova promised a cheap, easy piece of software that would increase efficiency in filing insurance claims. The price tag: $10,000 plus the cost of some new computers. $10,000 for the software, plus previously undisclosed per-user licensing fees and $15,000 to install what are probably commodity computers available at Newegg for a few hundred dollars? If true, the term for this "gotcha" is: ripoff. Castranova said he doesn’t understand how she could think the computer charges were unauthorized. After all, he said, someone had to let him into her office to install the machines. A contract that clearly specifies such "materials and labor costs" is the standard when, say, a plumber fixes your toilet. This is especially true when those costs exceed the cost of the product itself, the software. These IT added costs should always be presented to clients up-front, above board, in writing and in a manner that could not cause misconceptions or buyer's remorse. If this did not occur here, then that is a problem. Another of the doctors in a tiff with Castranova, Fort Lauderdale internist Paul Preste claims Castranova didn't provide adequate training after installing the electronic records system. Preste's office manager, Donna Golden, said there was a day-long training and that Castranova’s employees came to the office on a number of occasions, but she noted some practitioners had to start from scratch after decades of paper records. One day of training on a complex information system? That is a joke. Kaplan agreed, but she said she was unimpressed with the system once it was installed in her Hallandale Beach office. She was reluctant to drum up business when she wasn't a satisfied customer. "We are holding your patient information hostage. Pay up." I sincerely hope for this vendor's sake that none of those 600 patients suffers an adverse outcome during the "records blackout." This information is not exactly chopped liver. No agency tracks electronic medical records disputes, but experts said feuds like these are not uncommon ... Linda McMullen of the Florida Medical Association said she's starting to hear similar stories of spats between doctors and software vendors. As the government pushes health IT on to unwary physicians, physicians need to educate themselves on the wiles of the IT profession ... fast. Maxwell, the software consultant, said doctors can avoid some of the grief by thoroughly researching their options before buying an electronic records system. She encouraged medical offices to shop around and set a five-year budget that includes the cost of scrapping a system if it doesn't work out. "The people that have had problems just went out and bought one (electronic medical records system)," she said, as opposed to researching the software and the company behind it. Fine advice. However, this reality belays the arguments about health IT being a deterministic convenience, saving money and improving efficiency. IT is often a headache and a money pit in and of itself. Also see my comments on a Huffington Post Investigative Fund story about physician HIT buyer's remorse. Back in the early days of Health Care Renewal, we had many occasions to write about problems with the leadership of the University of California - Irvine (UCI) medical school. Starting in late 2005, we posted about various management problems at the institution, involving its liver transplant service, cardiology division, and bone marrow transplant service, (see posts here and here) which lead the new chancellor of the campus to "acknowledge a failure of leadership and accountability" (see post here.) Slightly more recently, we noted the almost 20 year history of questionable financial relationships that involved one of UCI's "biggest stars" in clinical researach and several pharmaceutical companies (see post here). Then, in 2007, we wrote about some strange contracting practices involving UCI and a local orthopedic practice (see post here). Federal investigators found scores of problems at UC Irvine Medical Center during a fall inspection that again put the troubled hospital's Medicare funding at risk, according to report released Thursday. In an 85-page report on their surprise October inspection, regulators said they observed poor oversight and mistakes by UCI doctors, nurses and pharmacists, leading to inadequate care that in some cases harmed patients. * A patient in the neuropsychiatric unit fell twice in three days and despite yelling 'Help me, doctor, help me,' suffered a head injury and had to be taken to intensive care. * Pharmacists failed to monitor and store drugs correctly, allowing nurses to carry narcotics in their pockets and inject patients without proper oversight. The report comes a year after investigators from the Centers for Medicare and Medicaid Services documented repeated examples of poor oversight at the hospital and threatened to cut Medicare funding. In July, Medicare officials issued a finding of immediate jeopardy after investigators discovered that five UCI patients had received overdoses because nurses using pain medication pumps were not properly trained. UCI officials immediately began training nurses to use the pumps, the finding was lifted within 24 hours and the hospital submitted a plan of correction. However, the 2010 continuation of the sad tale of UCI adds an interesting contrast. UCI nurses said Thursday that many of the latest problems stem from understaffing and other cost-cutting, even as the facility turned a $54.2-million profit last year and the chief executive earned an $83,250 bonus. 'This is a problem of money. To provide extra training, extra staffing, is money,' said Beth Kean, California Nursing Assn. director for UC nurses, including 1,000 at UCI. Terry A. Belmont, who took over as the hospital's chief executive last year, disputed that the facility was understaffed. The new wrinkle in the UCI saga seems to be that now the leadership of UCI has been raking in bonuses while the mismanagement of the organization apparently continues. The University of California regents Thursday approved the controversial payment of $3.1 million in performance bonuses to 38 senior executives at UC's five medical centers. The regents emphasized that the payments were linked to improved patient health and stronger hospital finances and said they were important tools to attract and retain talent. They said the bonuses were part of a 16-year-old plan funded by hospital revenue, not state funds or student fees. An additional $33.7 million is distributed among 22,000 lower-ranking medical employees. However, union activists denounced the executive bonuses as unconscionable as other parts of the university were coping with pay cuts and layoffs. 'This is appalling to do this when they are telling the lowest-paid workers to stay in poverty,' said Lakesha Harrison, president of the American Federation of State, County and Municipal Employees Local 3299, which represents about 20,000 UC workers, including hospital technicians and campus custodians. Some of the union's members get bonuses of about $300 a year, Harrison said. In contrast, the payments to the 38 senior managers range from about $30,100 to nearly $219,000. The incentives were awarded after the UC medical center system met such targets as reducing catheter-related infections and saving money through group purchases of supplies, officials said. Among the payments approved Thursday by the regents in San Francisco were $218,728 to UCLA Medical Center Chief Executive David Feinberg, on top of his $739,695 base salary; $181,227 to UC San Francisco medical center Chief Executive Mark Laret, on top of $739,700 in pay; and $87,000, in addition to his $580,000 salary, for John Stobo, the UC system's senior vice president for health sciences. 'Everybody's fallible. We just have to make sure we have the right processes in place' to catch errors, said Dr. Eugene Spiritus, UCI Medical Center's chief medical officer. Spiritus also defended the compensation for hospital managers, saying they need to stay competitive in order to attract and keep talented managers, especially given the cost of living in California. F Scott Fitzgerald wrote, "the very rich are different from you and me." These days, it is executives and managers who are very different from you and me. Physicians are beginning to dread the notion of "pay for performance," which may mean tiny increases in fees paid to physicians who uncritically follow wooden-headed guidelines based on over-simplified notions of disease, poor measurement schemes, and manipulated and suppressed clinical data. However, for health care organization executives, "pay for performance" seems to mean lavish bonuses only tenuously related to any rational notion of performance. In the example above, it seems that multiple UCI executives earned bonuses for their management of clinical affairs at the medical center in 2008, and at least the medical center CEO earned a bonus in 2009 for "improved patient health" while outside review of the medical center's performance in 2009 revealed "scores of problems" sufficient to threaten withdrawal of Medicare funding. One wonders about the basis for all the millions in bonuses that have been paid to University of California executives over the years? In fact, the executive "pay for performance" programs that started in the for-profit corporate world, and now are prevalent in not-for-profit health care organizations, seem to reflect the culture of executive entitlement now so prevalent in the US (and maybe most developed countries.) First, executives claim credit for any improvements in their organizations, while the workers in the trenches who actually accomplished the improvements get chump change. Second, when things go wrong, the workers face salary cuts and lay-offs, while the executives' total compensation never seems to go down. As we mentioned before, executive compensation in health care seems best described as Prof Mintzberg described compensation for finance CEOs, "All this compensation madness is not about markets or talents or incentives, but rather about insiders hijacking established institutions for their personal benefit." As it did in finance, compensation madness is likely to keep the health care bubble inflating until it bursts, with the expected adverse consequences. Meanwhile, I say again, if health care reformers really care about improving access and controlling costs, they will have to have the courage to confront the powerful and self-interested leaders who benefit so well from their previously mission-driven organizations. Many in the US believe that a free market in health care is a good idea. Some actually assert that the US health care system amounts to a free market. If you had surgery at Kent Hospital, your insurer would pay Kent significantly more than if you had the exact same procedure at South County Hospital –– even if the same doctor did the work. On average, Kent is getting paid nearly twice as much as South County for inpatient care, according to a new report from the health insurance commissioner that is causing a stir across the state’s health-care industry. It is well-known that hospitals get paid different amounts for the same services. But the report, for the first time, reveals the winners and losers, and quantifies the disparities –– with numbers showing the differences to be greater than many people thought. The factor determining which hospitals are paid the highest rates, according to the report, is whether the hospital is part of a group. Such hospital systems have the clout to negotiate higher prices than independent hospitals. 'We’ve never had this kind of data [before],' said Christopher F. Koller, state health insurance commissioner. 'The results and analysis show that higher payments to hospitals are associated with system affiliation, and the current contracting method does not appear to encourage the fair treatment of providers.' There is no evidence connecting higher pay to higher quality, he said. Koller’s report shines a flashlight beam into the murky world of hospital finance. Hospitals negotiate privately with insurers to establish how much they will be paid for each service. These talks are largely unregulated, and always private, so that no hospital knows exactly what its neighbor is being paid. All are forbidden by contract to reveal their rates. Koller collected data from Blue Cross & Blue Shield of Rhode Island and UnitedHealthcare of New England concerning payments to 11 acute-care hospitals in 2008. He is the first public official to obtain this confidential information, saying he was entitled to it because a 2004 law requires him to promote the affordability of health care and ensure the fair treatment of providers. Thus, the prices of commonly used medical services provided by hospitals were largely secret. On obvious requirement for the function of a free market is price transparency. When making a purchasing decision, one needs to know what prices different sellers charge. When economists first heard [movie character Gordon] Gekko's now-famous dictum, 'Greed is good,' they thought it a crude expression of Adam Smith's 'Invisible Hand' — which is one of history's great ideas. But in Smith's vision, greed is socially beneficial only when properly harnessed and channeled. The necessary conditions include, among other things: appropriate incentives (for risk taking, etc. ), effective competition, safeguards against exploitation of what economists call 'asymmetric information' (as when a deceitful seller unloads junk on an unsuspecting buyer), regulators to enforce the rules and keep participants honest, and—when relevant—protection of taxpayers against pilferage or malfeasance by others. When these conditions fail to hold, greed is not good. The question begged is why neither hospitals nor health insurance companies wanted to make the prices public. One wonders if it were fears of looking incompetent (by paying to much, or charging to little), or worse, of revealing collusion. One also wonders if it were fears of revealing how anti-competitive is the current way of doing business. At the time of data collection, Rhode Island had only two health insurers. As noted above, large hospital networks got the highest prices. Price differences did not obviously relate to quality of care, or costs of teaching programs. Note that we previously discussed secret agreements between a dominant health care insurance company and the largest hospital system in our northern neighbor, Massachusetts, and how these agreements resulted in payments to that system far greater than those paid to any other hospital. I suspect that secret deals resulting in wide pricing discrepancies are the rule, rather than the exception in the US, and that such deals overwhelmingly favor the largest organizations, but not the best care. As we have been saying repeatedly since we started Health Care Renewal, the leadership of the large organizations that now dominate health care lacks accountability and transparency, and often fails to exhibit integrity and honesty. Deliberately concealing price information obviously is an example of failing to be accountable and transparent. Now that the events have conspired to slow the US health care reform juggernaut, maybe we can reconsider whether meaningful health care reform can be accomplished without improving accountability, integrity, transparency and honesty of health care oganizations and their leaders. Operation Aurora And a Widespread Reluctance to Discuss IT Flaws: Is Universal Healthcare IT Really a Good Idea in 2010? Is universal healthcare IT really a good idea in 2010? The complete essay is at my academic site at this link. Operation Aurora was a cyber attack, conducted in mid-December 2009 and apparently originating in China, against Google and more than 20 other companies, including Adobe Systems, Juniper Networks, Rackspace, Yahoo, Symantec, Northrop Grumman and Dow Chemical. The attack used "0-day" vulnerabilities (newly discovered and unknown to the software vendor, i.e., "day zero" of the vendor's knowledge of the defect) in Microsoft's Internet Explorer. One target was Google's email service, Gmail. It is not unrealistic to suspect that successful break-ins to that service could have gotten dissidents jailed or killed. Entire countries have warned users to switch to other browsers, at least until a vulnerability fix can be found. I find this stunning. I also bring to bear recent reports of a culture of secrecy among IT vendors and users about these defects and vulnerabilities. This culture of secrecy seems prevalent in health IT, with perhaps even higher stakes for people (patients) when systems malfunction. The essay is long-ish and at times technical. The IT issues it addresses, though, are at the root of why I believe the current push in health IT is a bad idea and that we need to "slow down" to a more temperate pace. Again, the full essay is here. It appears Microsoft has known about the Internet Explorer bug since Sept. 2009. The flaw was in the Microsoft Security Response Center's (MSRC) queue to be fixed in the the next batch of patches due in February but the targeted zero-day attacks against U.S. companies forced the company to release an emergency, out-of-band IE update. Actually, this was not a "zero day attack", but a "120 day attack." One wonders if EHR vendors have similar queues. At a brief Oct. 24, 2009 posting "Washington Post: EMR's No Cure-All; Sen. Grassley Sends Letter of Inquiry to health IT vendors" (link) I mentioned an Oct. 16, 2009 letter to major healthcare IT vendors from Senator Charles E. Grassley (ranking member of the United States Senate Committee on Finance) initiating a Senate investigation of corporate practices. That letter is here (PDF). A followup investigation has now begun by Sen. Grassley of hospitals themselves. Here is a link to his Senate website and a copy of the new letter dated Jan. 20, 2010. Banner Health, Brigham & Women's Hospital Case Western Reserve University Hospital Health System, Catholic Healthcare West, Cedars Sinai Children’s National Medical Center, Geisinger Medical Center, Hackensack Hospital, HCA TriStar, Intermountain Healthcare, Indiana University Hospital, Jefferson Regional Medical Center, Kaiser Permanente System, Marshfield Clinic, Massachusetts General Hospital, Mayo Clinics, Memorial Hermann Healthcare System, Methodist Hospital of Indiana, North Shore-Long Island Jewish Health System, Palo Alto Medical Foundation, Rainbow Babies and Children’s Hospital, Saint Mary Mercy Hospital, Seattle Children’s Hospital, Stony Brook University Medical Center, Trinity Hospital System Tufts Medical Center, University of California San Francisco Medical Center, University of Pennsylvania Health System, University of Pittsburgh Medical Center, University of Virginia Medical Center, and Vanderbilt University Hospital. According to Huffington Post Investigative Fund reporters Fred Schulte and Emma Schwartz in "Electronic Health Records Probe Expands to Hospitals", these organizations were chosen based on both "positive and negative" press reports, complaints, whistleblowers, and Grassley's own research. The Huffington Post quoted Sen. Grassley's spokesperson Jill Gerber in that regard. 1. Please describe in detail your facility’s process for identifying HIT products for purchase and choosing an HIT vendor(s). a. What is the personnel structure of those involved in the purchase? b. To what extent do physicians and other health care providers within your facility provide input regarding the specific HIT items to be implemented within your facility? c. Who or what department within your facility is responsible for making HIT purchase decisions? I have been writing for years on the strategically unsound practice of hospitals leaving these processes up to business IT (MIS) personnel and other non-clinical management, perhaps only then seeking a qualified physician information technology expert - or more typically, appointing a figurehead physician IT amateur - after the acquisition. That person is tasked with "making it all work" and convincing other doctors to use the technology. 2. Three of the companies that I wrote to in October 2009 informed me that they do not manufacture HIT software or hardware, but instead assist their health care clients, such as hospitals, with the implementation and management of HIT systems. To what extent do you contract with such entities to assist with the purchase, implementation and/or management of HIT products in your facility? I have also written on the huge amount of precious healthcare money wasted on management consulting companies for health IT, when a fraction of that money could pay for in-house, permanent expertise. 3. Please describe the training process implemented in your facility to familiarize employees with new technology systems. a. How does your facility budget for HIT training? b. What are the vendors’ roles in helping your facility train in the use of their products? I sincerely hope these hospitals have not "shorted" training. On the other hand, that these systems require extensive training to use properly is part of the problem. Finally, no manner of training can compensate adequately for mission hostile health IT. 4. Does your facility have any policies or processes governing the reporting of problems or concerns by your health care employees related to the HIT products or systems implemented in your facility? If so, please provide a description of the policies or processes. If not, please explain why not. I would have added "effective policies or procedures" to that question. 5. When patient care and/or safety problems related to HIT systems arise, how are these problems reported within the facility and what is the process or mechanism for addressing them? a. Are these problems also reported to the HIT vendor, and if so, what is the process for reporting them? b. If patient care and/or safety problems related to HIT systems are not routinely reported to the HIT vendors, please explain how your facility decides which problems or issues are reported to a vendor and/or addressed by a vendor and which problems are addressed internally by the facility. These are questions about fundamental processes of quality control of the IT devices themselves. It would perhaps be a criminal affair if pharmaceutical companies and medical device companies did not have such processes in place regarding their products. 6. Please describe in detail any system your facility has in place to document, track, catalogue, and maintain complaints, concerns or issues related to HIT products that may directly or indirectly involve or impact the delivery of care or patient safety. One would think there would be a robust database or library of such issues at every hospital deploying HIT. Not having such a resource would in my opinion reflect negligence in both the IT and clinical domains. It will be interesting to see the contents, or if they do not exist, the reasons why. 7. Please provide a list of HIT problems or complaints that have been identified by or reported to your facility since January 2008 that directly or indirectly impacted patient safety or the delivery of care, including any complications or adverse events that have occurred as a result of HIT product design and/or usability. Please describe whether and how each of those problems or complaints was resolved and whether these issues have resulted in a change in policy to prevent the problem in the future. The answers should prove interesting. Hopefully, "near misses" are accounted for in prior questions. 8. Does your facility have policies regarding the discussion of problems in your HIT systems with other health care facilities or with government officials or any individuals or entities outside your facility? If so, please describe those policies. To what extent are these policies driven by contractual agreements with the HIT vendors, and to what extent do they stem from internal processes? Please provide examples of contracts with HIT vendors that include non-disclosure clauses. Considering the widespread and uncomfortably similar stories people in my field have been hearing for quite awhile (in my case, for the past fifteen+ years), and as I have written before, there seems to be very little cross-institutional knowledge sharing on HIT pitfalls. It was, in fact, not easy to get a book about HIT problems published for a wide audience - even in a de-identified form - in 2009. Most accounts of health IT consist of what Greenhalgh calls "sanitized accounts of project success." These accounts are of little didactic value in helping other organizations avoid known deleterious practices (such as talent mismanagement, internal strife, failure to adapt IT to the environment, over-reliance on vendor promises, contract pitfalls, etc.) leading to HIT failure. 9. Some of the HIT vendors stated specifically in their responses to me that they do not include language that would hold them harmless for failures of their products or for the company’s own negligence or recklessness. However, they may include provisions that spell out the vendor’s and the health care client’s respective legal responsibilities and obligations in the use of the product. For example, one vendor stated that it is accountable for the performance of its product as long as the client uses the product appropriately. Another vendor stated that it is not liable when harm or loss results from the client’s use of the product in diagnosing and/or treating patients. a. Do any of the HIT vendors include language in their contracts with your facility that could be considered “hold harmless” provisions, i.e., the transferring of liability associated with the services or products provided to your facility, or otherwise limit their liability? If so, please provide a copy of sample contracts containing such provisions. Denial of inclusion of "hold harmless" provisions on the one hand, and statements about being "accountable for the performance of its product as long as the client uses the product appropriately" (whatever that means) and "not [being] liable when harm or loss results from the client’s use of the product in diagnosing and/or treating patients" (what are such systems for, playing Pong?) on the other hand, seem to be at odds. 10. What is the relationship between your facility and any HIT vendors? a. HIT vendors that manufacture software, hardware and/or other products purchased by health care facilities have stated in their responses to me that they do not offer any financial incentives for purchasing their products, such as shares in the company or financial interests in a particular product. At least one vendor stated, however, that it does offer financial incentives in the form of discounts based on purchase size. Another vendor said that health care clients may receive royalty payments when the clients collaborate with the vendor to develop a product. What financial interest, if any, does your facility have in HIT vendors and/or their products? b. Do the vendors offer your facility and/or any of your health care providers any financial incentives for purchasing the vendors’ products? If so, please describe the types and value of the incentives. These are clearly questions about conflict of interest. My best advice to these organizations is "be honest." 11. Did your staff, health care providers and/or facility receive any payments, product discounts, or other items of value from any vendor for discussing and/or promoting that vendor’s HIT products? If so, please list the different types of payments and discounts and their value. This is a question along the lines of the "Key Opinion Leaders" nurtured by pharmas with a green fertilizer that comes from trees, not cows. One vendor did seem to indicate that this occurs in the "10 secrets the EHR companies don't want you to know" essay here. While that essay must be taken with a grain of salt, it would not surprise me to find out the HIT industry and the pharma industry share practices in common. Today's B-schools and our current dishonest culture produce the leaders and officers of both, after all. A former chief of acute pain at Baystate Medical Center has agreed to plead guilty to falsifying medical research and must pay $420,000 in restitution to pharmaceutical companies, federal court records show. Dr. Scott S. Reuben, of Longmeadow, was charged on Thursday with health care fraud. He signed a plea agreement with prosecutors a week earlier. 'In fact, Reuben had not enrolled any patients into that study and the results reported both to Pfizer and to the Anesthesia and Analgesia Journal and in turn to the public were wholly made up by Reuben,' the charge states. Albert said the fabrications were discovered by medical staff within the hospital during a routine review at the hospital's 'research week,' when clinicians design poster displays of their studies. Anesthesia & Analgesia later had to retract 10 papers authored by Reuben, and medical experts at the time said at least 21 journal articles by the anesthesiologist appeared to have been fabricated. The agreement calls for Reuben to pay restitution of $296,557 to Pfizer and $16,000 to Wyeth Pharmaceuticals, two companies that merged last fall. Merck & Co. would receive $49,375 from the agreement, according to documents. In addition to his fabricated Celebrex studies, Reuben had pretended to do research that backed the effectiveness of other pain drugs, including Pfizer's Bextra and Merck's Vioxx, according to prosecutors. Bextra and Vioxx later were pulled from the market because studies showed they increased the risk of death from heart attacks and strokes. In addition, Reuben published data showing that Pfizer's antidepressant Effexor had exhibited painkilling properties. Reuben's studies had been considered pioneering at the time they were published. His data had supported the use of two of Pfizer's major products - Celebrex and Lyrica - in combination to treat certain types of post-operative pain. Pfizer said previously that it had supported five of Reuben's research initiatives. Pfizer, which declined at the time to reveal how much it paid Reuben over the years to be part of its speakers' bureau, said the company played no part in the fraud. Asked for a comment Friday, Pfizer was not able to provide a timely response. Note that we usually do not post about stories of individual's clinical research misconduct, not because it is unimportant, but because individual misconduct may be related more to an individual's motives and character than to concentration and abuse of power in health care. However, in this case it appears that Dr Reubens was enabled, at least in the psychological and logistical senses, by pharmaceutical companies happy to sponsor research which suggested the effectiveness of their products. Since Dr Reubens apparently fabricated most of his data, notice that he apparently deliberately fabricated data that made Pfizer's Celebrex, Bextra, Lyrica, and Effexor, and Merck's Vioxx look good. Perhaps there was careerism here. Positive studies about "innovative" effective drugs are more likely to get published than negative studies or studies of old drugs. However, we have noted before that pharmaceutical (and biotechnology and device) companies like to sponsor studies with results that make their products look good. One bit of good news in this story is that Reuben's colleagues at the hospital apparently were able to uncover the fabrications when they had an opportunity to critically look at data from several of his studies. Certainly some Pfizer employees had easy access to the same data. But perhaps they would not have thought to look at it critically as long as it was so unrelentingly positive about their company's products. As we have said before, health care professionals, policy makers and patients ought to be extremely skeptical of clinical studies sponsored (and often deeply influenced) by those with vested interests in the studies' turning out in certain ways. We ought to reconsider national research policies that have turned over sponsorship of the majority of clinical research to those with such vested interests. Hat tip to Prof Margaret Soltan on the University Diaries blog. ADDENDUM (19 January, 2010) - see also comments on the Alison Bass Blog. We have written about attacks on rigorous evidence-based medicine, and particularly on comparative effectiveness research from those with vested interests in having clinical research come out a certain way (e.g., see this most recent relevant post). Those who see such research primarily as a marketing opportunity tend to be offended by the notion of rigorous, unbiased research that may not be so easily turned to marketing purposes. Since I, like the other current Health Care Renewal bloggers, am based in the US, we tend to focus on local examples. But it turns out that the American malady described above has spread to Germany. A long-running feud between pharmaceutical companies and the German institute that evaluates the effectiveness of medical treatments could cost the institute director his job. Although the post is supposed to be apolitical, members of Germany’s new coalition government have called for Peter Sawicki, founding director of the Institute for Quality and Efficiency in Health Care (known by its German acronym IQWiG, pronounced ICK-vig), to be replaced with someone who is friendlier to the pharmaceutical industry. The institute’s board of directors are expected to decide on 20 January whether Sawicki, a clinical researcher and diabetes expert, will be replaced when his contract runs out later this year. And it turns out that the American-based pharmaceutical industry has jumped right in. Big pharma’s attacks have even come from outside Germany. In March 2009, the Pharmaceutical Research and Manufacturers of America petitioned the Obama Administration to put Germany on a trade and intellectual property 'priority watch list' chiefly because of IQWiG’s influence on the German drug market. The petition complained that the institute has 'inadequately taken into account the value of innovative pharmaceuticals,' among other complaints. The Obama Administration declined to put Germany on its watch list. Parenthetically, "innovation" seems to be a favorite term that those with vested interests in selling products or services use to describe those products, sometimes in the absence of any data that shows them to be superior to the alternatives in terms of important clinical outcomes, that is, outcomes that patients may care about. "Innovative" was also how complex financial products which contributed to the global economic meltdown were described by those who stood to make money selling, or sometimes simultaneously short-selling them, - but maybe that's guilt by association. I hope the Germans are able to preserve their stake in honest, comparisons of tests and treatments that are not influenced by those with vested interests in selling those tests and treatments. I have written on numerous occasions that health IT in its present form, often poorly designed and implemented under current IT leadership structures, is often a waste of precious healthcare resources. The resources might be better spent on essentials such as patient care for the poor or improved human staffing, until this experimental technology is perfected. Healthcare information technology (HIT) holds great promise towards improving healthcare quality, safety and costs. As we enter the second decade of the 21st century, however, this potential has been largely unrealized. A significant factor impeding HIT achievement has been mismanagement of the technology. Mismanagement of HIT is largely due to false assumptions and naïveté concerning the challenges presented by this still-experimental technology, and underestimations of the expertise essential to achieve the potential benefits of HIT. This results in mission-hostile HIT design, and HIT leaders and stakeholders operating outside (often far outside) the boundaries of their professional competencies. Until these issues are acknowledged and corrected, HIT efforts will waste precious healthcare resources, will not achieve claimed benefits for many years to come, and may actually cause harm. Numerous reports in the 2009 articles link corroborate this view, including those from the U.S. Joint Commission and National Research Council. The following may bring my observations to life. Jackson Memorial Hospital (JMH), part of Jackson Memorial Health System, South Florida's leading/largest healthcare provider, recently implemented 11 Cerner Millennium® solutions. This marks the hospital's first step in a multi-stage healthcare information technology implementation. With Cerner Millennium® solutions, JMH clinicians now have access to real-time resources to better manage patient care with improved access to cross-department information, evidence-based clinical decision support and streamlined hospitals operations. "Cerner is pleased to partner with Jackson Memorial Hospital, an institution continually ranked as one of the best hospitals in America," said Trace Devanny, Cerner -- president. "JMH's decision to implement a solution-oriented information technology system reinforces its vision to improve healthcare communitywide. Cerner worked together with JMH to implement multiple Cerner Millennium solutions specifically designed for various roles, venues and conditions that will ultimately improve the patient experience." Looking forward and back, Jackson Health System's grim financial picture just keeps getting worse. • Patient volume has dropped by 6.5 percent recently, meaning that with all the cost cutting and new revenue plans, Jackson is facing an $88 million loss this fiscal year, and this estimate is likely to get worse. • The government system may have lost much more money last year than the $56 million it reported in unaudited statements. That loss could conceivably go as high as $150 million. • Cash on hand to pay bills -- the measure of how the three-hospital system is doing at this moment -- continues to be awful. ``Perhaps a cash hemorrhage,'' PHT member Marcos Lapciuc called it. The bad news came at PHT committee hearings late Tuesday afternoon. ``Very drastic measures need to happen'' to stem the growing losses, said Chief Executive Eneida Roldan. She said the losses were likely to increase, because considerable funding for poor patients comes from Tallahassee, and the Legislature is expected to cut back on healthcare funding programs as it deals with its own budget crisis. ``We're making very drastic decisions that no hospital wants to do,'' Roldan told the board, including ending contracts for 175 unfunded patients to receive dialysis at out-patient centers. Ending contracts for unfunded patients to receive dialysis after spending tens of millions of dollars on IT to "streamline operations?" Could this be an example of "Blood for Computers?" Board members were upset in particular about how the institution, with 12,000 employees and $1.9 billion in revenue, could be so uncertain about its financial performance last year. The central issue appears to be the proper amount of accounts receivable -- money that the system expects to collect from insurers -- as contrasted with bad debts that are unlikely to be collected. As of Nov. 30, Jackson was listing its accounts receivable at $431.8 million. Ernst & Young, Jackson's auditors, are expected to present the official audited returns within the next month. ``We know there's going to be a sizable adjustment,'' Chief Financial Officer Frank Barrett told the board. But he's uncertain how much. Uncertain how much money will be "adjusted" in accounts receivable? Apparently all this computerization has not realized a ROI on basic financial management. Could problems with the IT (e.g., mismanaged design, mission hostile user experience, bugs, etc.) and/or mismanagement of its implementation actually be responsible for the chaos, I ask? ... Perplexed board members heard several explanations. One is that the system has switched computer systems, and the old financial software may have been calculating bills as accounts receivable from years ago, when those items should be listed as uncollectable bad debts. If that was the case (and I note the "may have", implying the organization is not even certain of this explanation), why was this discrepancy not noted before or during the transition? Who, exactly, was managing this project? This would be a stunning example of IT mismanagement making what happened at Yale some years ago look like a cakewalk, and on par with the mismanagement at another Miami hospital, Mt. Sinai, as I posted here. ... On Monday, the board was shown a presentation on bill collecting with a complex grid of flow charts and time lines. Still, some board members expressed concern about why Jackson's financial people didn't have a better handle on key measures of the system's condition. A question arises regarding whether the massive IT implementations are causing data irregularities, confusion, or are not functioning properly in other ways affecting financial management. ``I don't totally understand the reasons,'' said [board member] Ernsto de la Fé. ... The fiscal 2009-2010 budget had calculated a loss of $6.5 million. Of that, $107 million was the baseline loss, reduced by $59.8 million in new revenue building ventures and $41.5 million in cost-cutting. "Cost cutting" usually is synonymous with "layoffs." How many millions were spent on computing instead of jobs, I wonder? Patient volume has dropped by 6.5 percent recently, meaning that with all the cost cutting and new revenue plans, Jackson is facing an $88 million loss this fiscal year. This estimate is likely to get worse. She was referring to UM Board of Trustees Chairman Phillip George's comments to Jackson leaders that he was disturbed about the quality of doctors that Jackson had been hiring in recent years. ``I wouldn't send my family to many of them,'' George said. Needing to present a balanced budget for Miami-Dade Commission's approval Thursday, the Jackson Health System is proposing to close two primary care centers, both of its nursing homes, outsource inmate healthcare and reduce support to other entities that care for the poor and uninsured. ``We are in an extremely unique position,'' Chief Executive Eneida Roldan said Wednesday. The public health system is having to cut services to meet an estimated budget deficit of $133 million for its next fiscal year at a time when the commission must also deal with filling a shortfall of more than $400 million in other county programs. Even after plans to reduce staff and close units, Jackson Health System is getting dangerously close to its bare minimum for cash-on-hand -- a key indication of financial health. As of Oct. 31, Miami-Dade's public hospital system had 20.8 days of cash to pay its bills, including payroll and keeping the lights on. Its governing body, the Public Health Trust, has set 20 days as the lowest Jackson should go. ``When it gets below 20 days, that's when I declare an emergency,'' said Frank Barrett, chief financial officer. He said he is already talking to county administrators about getting an advance to fund payroll if the system runs out of cash. While IT is not a definite cause or contributor to these problems, I sense familiar patterns. Perhaps forensics related to hospital computing, the decisions to spend so many millions on the technology, and the actual impact of the implementations might shed additional light on the reasons for this apparent financial debacle. Perhaps the hospital system would have better spent that money on buttressing its financial stability, and hiring smart people to have kept better track of its finances. An analysis of these issues might likely provide a cautionary tale for hospital executives planning on massive new HIT expenditures to "streamline operations." MIAMI – Frank Barrett, chief financial officer and executive vice president at Miami's Jackson Health System, has resigned after five years in the position. The health system's board of directors criticized Barrett strongly last week after he reported miscalculated financial losses. Barrett had revealed to the board that Jackson Health lost $203.8 million in fiscal 2009, although he had originally reported a $46.8 million loss. The projected loss for fiscal 2010 rose $87 million to $229 million.